If you missed yesterday's introduction and tour of the living room, you'll want to head to this post! Welcome back to day two of the tour of my parents' river house! I hope you enjoyed yesterday's photos of the living room. Today we're off to the den and the dining room, which are two of the rooms that connect to living room and complete the first floor living space. The kitchen and two of the bedrooms are on the first floor as well, but a tour of those will have to come on another day. We'll actually be living at the river this summer for a bit before making our big move to Philadelphia, so there'll be plenty of time to snap some photos then. Now, off to the den! This second living space is warm and cozy - a perfect space for rainy day movie watching or a long conversation over coffee. 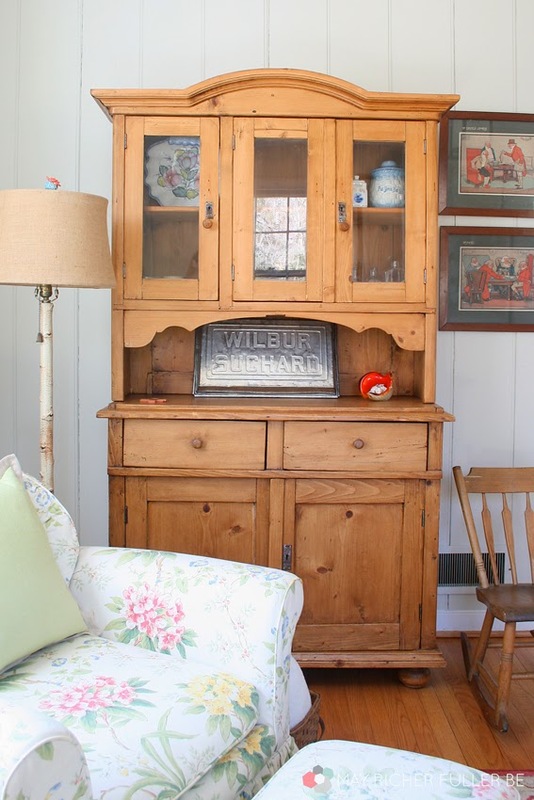 I just love this big wood hutch. 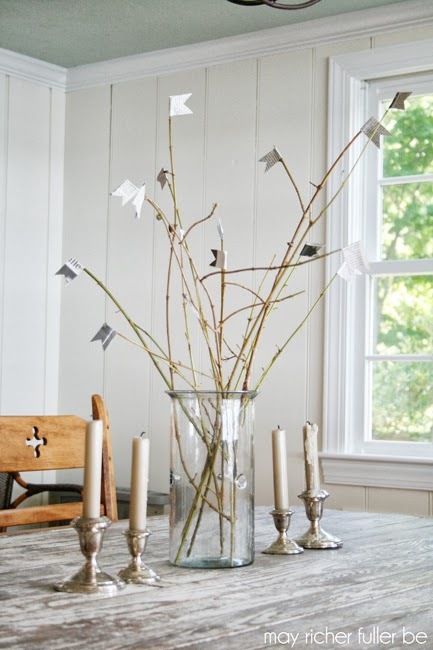 It was originally from the home my grandmother grew up in - which also happened to be a hotel(!) - in Alabama. Cool huh? It has so much character. On the opposite wall is the super comfy couch. The big map you see here belonged to the previous owners, and my parents bought it at the estate sale that was held at the house before they closed on it. 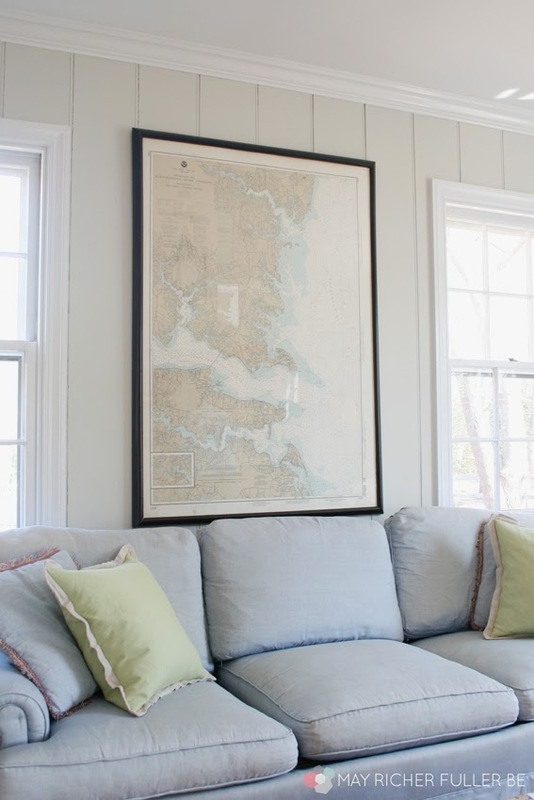 What would a house on the water be without a big coastal map like this? 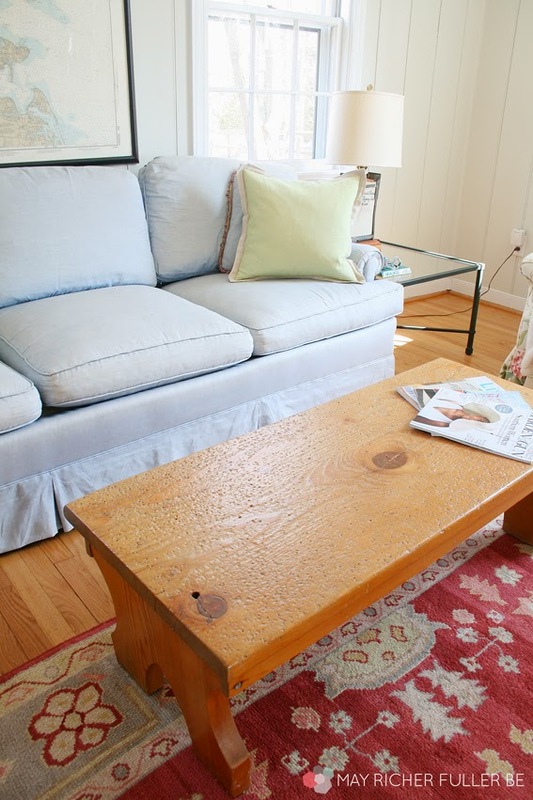 The coffee table in this room has a cool story behind it too. In its former life, it was a bench in a golf club locker room where the men used to tie the shoelaces on their spikes. See all those tiny pock marks? That's from years of spikes hitting that bench! 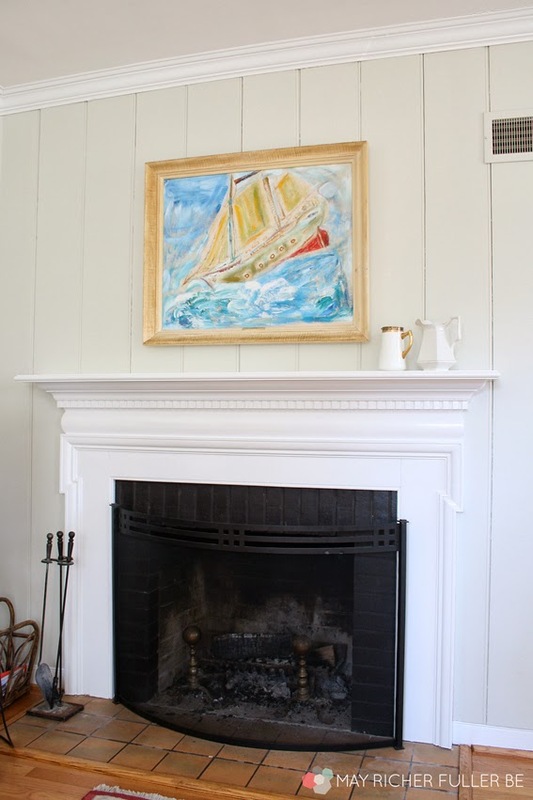 The sweet painting over the fireplace mantel is another ode to the sea. 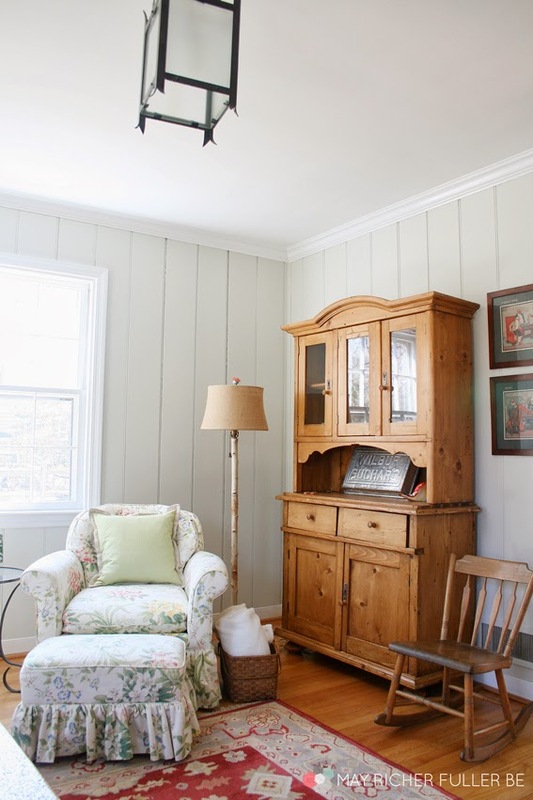 This photo also gives you a good look at the vertical wood paneling in this room - very cottage farmhouse-y! 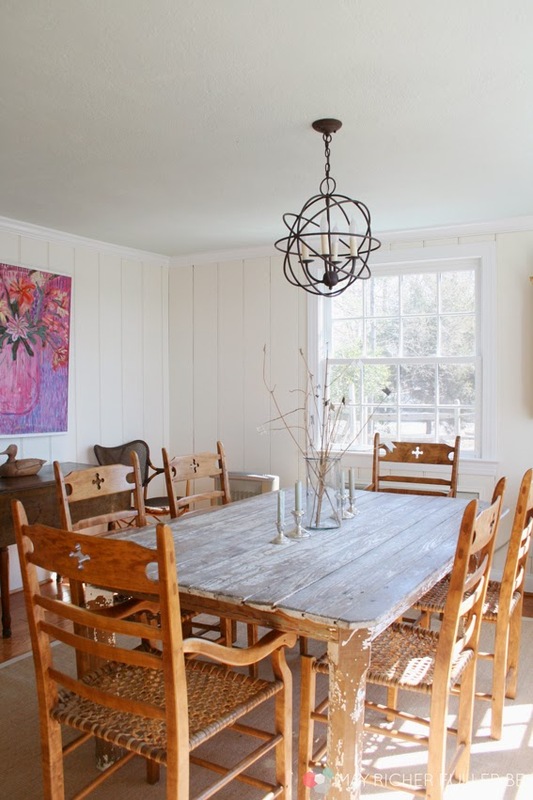 The paneling is in the dining room too. Now let's head next door to the dining room! 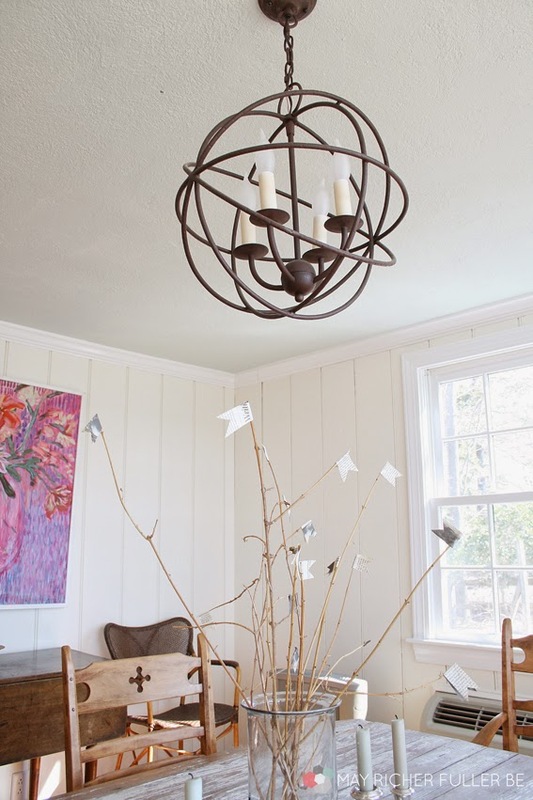 And oh...the light fixture. I think it's my favorite one in the whole house. 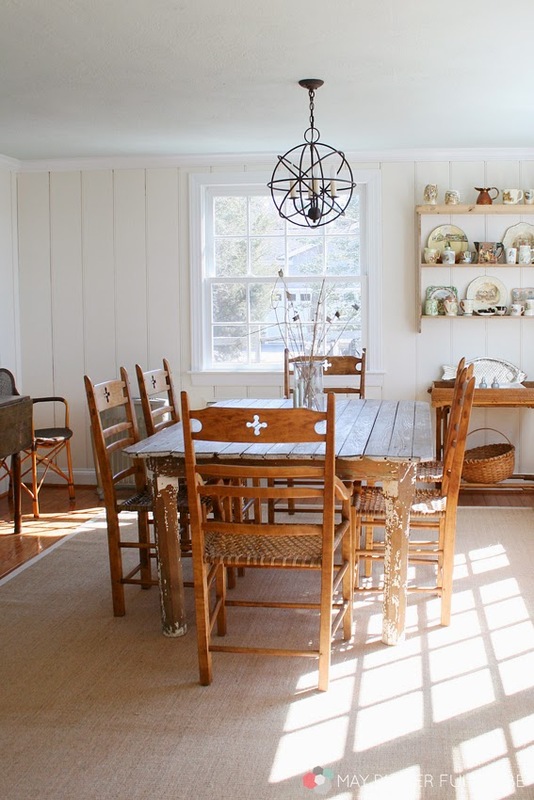 It brings a hint of of modern to this otherwise cottage-y dining room. That brings us to the end of the tour today. 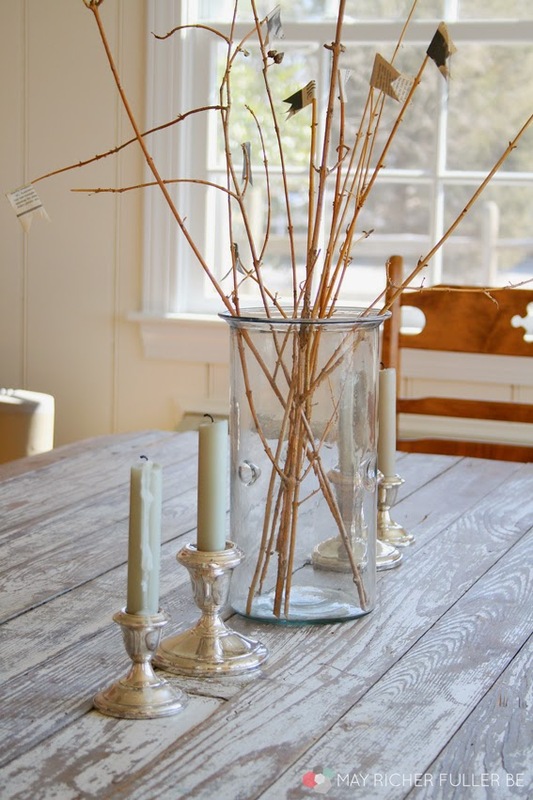 I hope you've enjoyed reading as much as I've enjoyed writing these posts about the river house! It's certainly a special place to my family, and I can't wait to head down there soon - especially with the spring and summer weather that's coming our way! 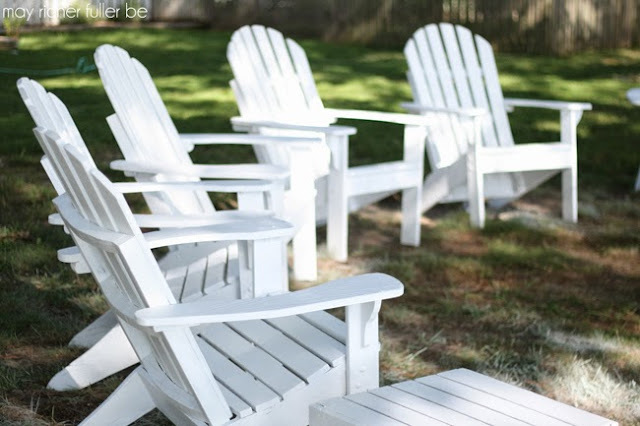 I've also done several of my favorite DIY projects during my time at the river. Here they are if you'd like to check them out! 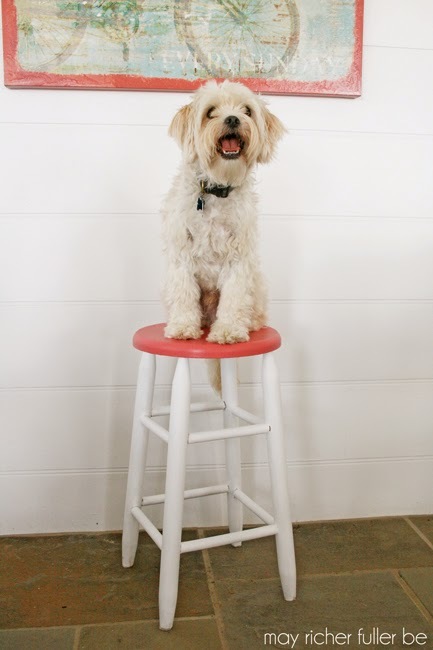 Yet another great post! What great decorators you all are!!! 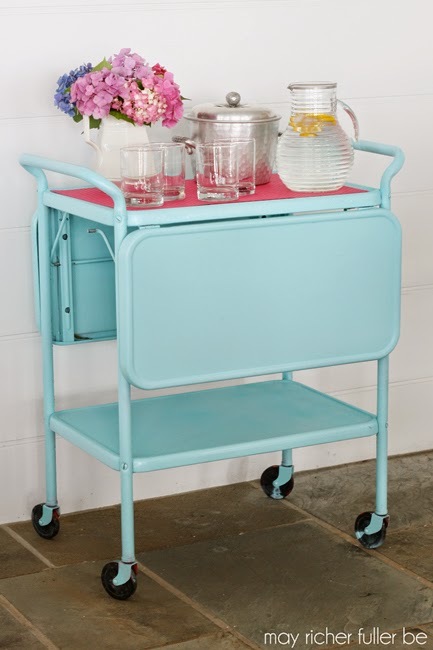 I love how most of the pieces of furniture have a story behind them! Makes them all the more special and neat :) Thanks for giving us "behind the scene tours" of this amazing river house!! Wish I could make my way to that big blue couch right about now to curl up on with a nice big book!